RRRRRRRRRIP! 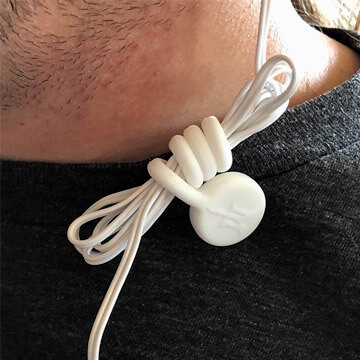 The plug is forcefully jerked out of your cell phone (hopefully it didn't break off INSIDE your earphone jack), your cell phone flies off your person and down to the floor, and the earbud wire gets severed. Everyone around you is looking at you in dismay. Sound familiar? And, at some point in your life, the same has happened when you've been bicycling, jogging, or even just walking. Right? 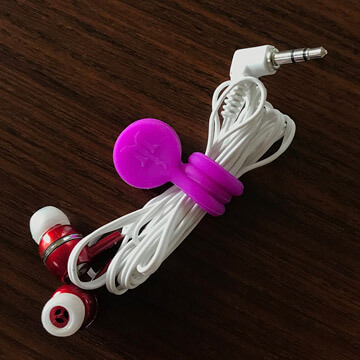 Grab a Twistie and you've just found a quick remedy because you can use one as a headphone cord wrap with a magnetic shirt clip. 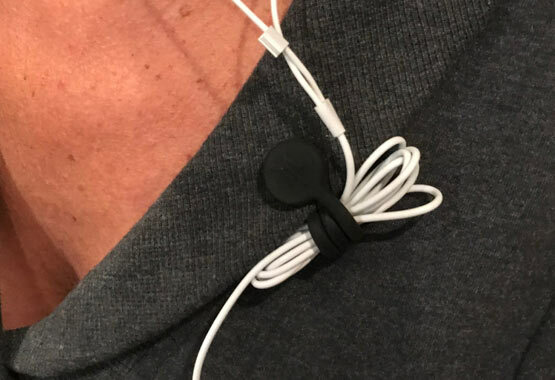 Just adjust your earphone cord to a comfortable position (I do this by wrapping it around 3 fingers until it gets to the right length), then wrap a Twistie around it and clip it directly to yourself! 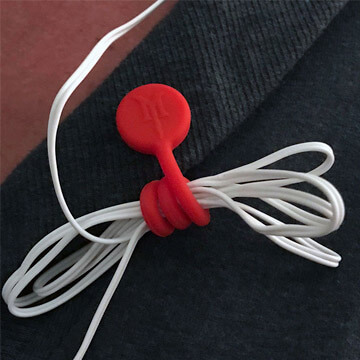 This is a great solution to a nagging problem that won't damage your clothing. With 16 Color Choices, Match Your Style! NOW! 20 Colors To Match Your Style!